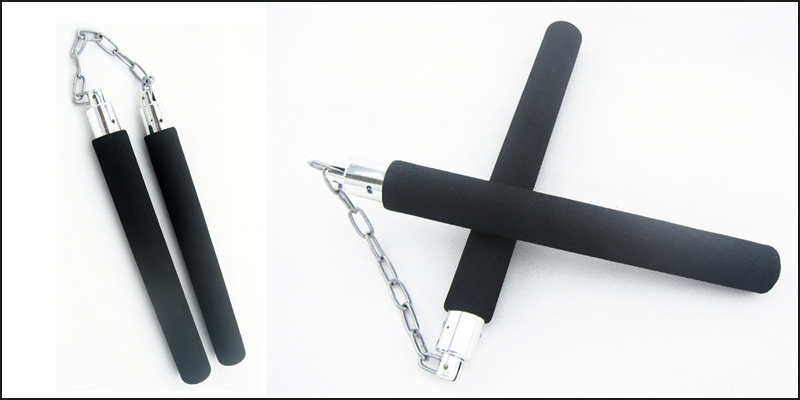 Foam Nunchaku with chain for better handling and performance. They are high quality beautifully designed lightweight and durable Nunchaku. Great for kids and adults who want to learn the art of Nunchaku. Made-up of foam your kids won’t get hurt and will enjoy the experience of practicing nunchaku. This Nunchaku is for Training/practice only, they are rubber foam padded plastic (interior tube) attached by plastic chain piece. This Nunchaku is ideal for training as a beginner due to the reduced risk of injury. Master the art of Nunchakus Martial Arts without getting injured. Fun learning without bruises and Scars. It make great gift for your kids.